I was tagged by Manon from Cafe Manon to do the Mid-Year Freakout Blog Tag. So now it's time to actually freak out because it's JULY ALREADY WHAT?? Start with the hardest? Eek! Probably Clean by Juno Dawson. It was honestly absolutely glorious to read. 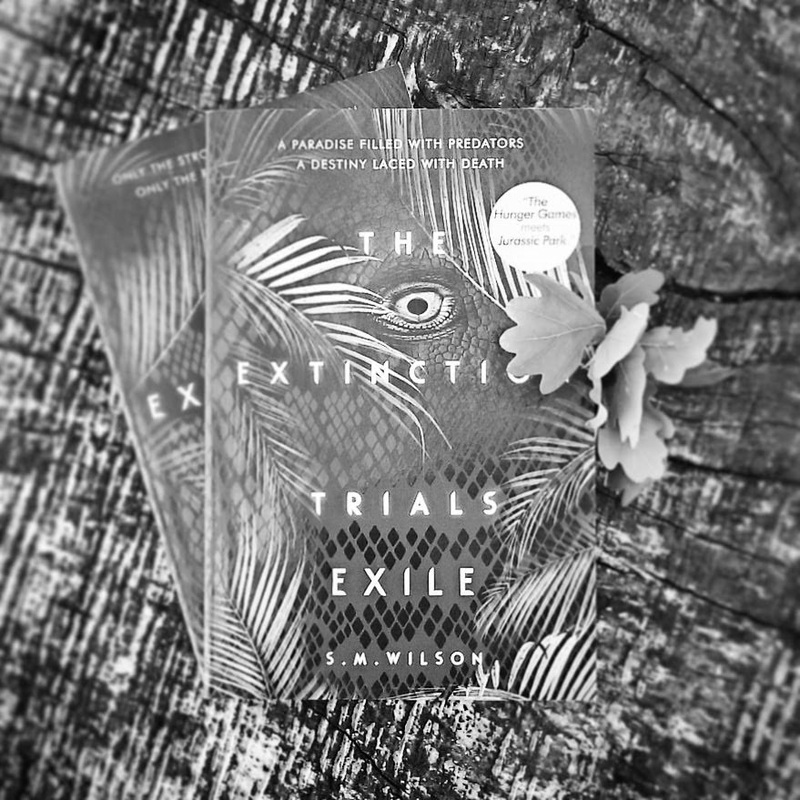 The Extinction Trials: Exile by SM Wilson was just incredible. It's absolutely how a second book should be, and if anything I loved Storm even more. I was in my element reading it! Why yes I did get an ARC of The Smoke Thieves by Sally Green in a book subscription box. So naturally I haven't picked it up yet. I guess I'm a bit scared? I am absolutely desperate to get my hands on Kingdom of the Blazing Phoenix by Julie C Dao. When I read Forest of a Thousand Lanterns I fell in love with Xifeng, and I still have so long to wait! It's almost unbearable. Probably To Kill a Kingdom by Alexandra Christo. The story itself was pretty good, but the writing style was not my cup of tea and I just didn't enjoy it. It's still a book I'd recommend though. I was really surprised by Smoke in the Sun by Renee Ahdieh because I thought the first book was maybe 2.5-3 stars, and I wan't even sure if I'd read the second one. But I did, and wow. It blew me away. SM Wilson - I have already read The Extinction Trials and its sequel TWICE this year, and I'm gearing up to jump in again. I just love the world created, the dinosaurs, the danger, the intrigue. I love it all. Charlie from Queens of Geek by Jen Wilde is definitely my newest fictional crush! I loved her narrative, her character, her motivations. Everything. She's just amazing. Rin from The Poppy War by RF Kuang. I read this book back in April and I still haven't managed to review it as it is such a difficult/amazing/scary book. But Rin was absolutely the standout character for me. 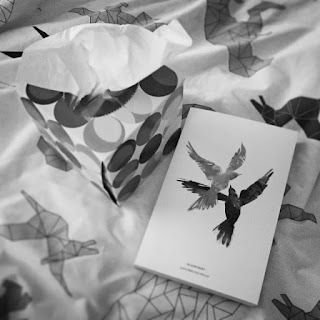 When I read Skylarks by Karen Gregory I was a mess of tears. It just hit so close to home, right in the feels. Theatrical by Maggie Harcourt makes me smile just thinking about it! It is an absolute joy, full of love and passion. And a beautiful story to boot! I don't think I've seen any this year oops. I am quite excited for The Darkest Minds to come out later this year, as I recently read the first book. I had so much fun with this post, blending my own tea for Children of Blood and Bone. I got to be creative in a whole new way, and it was very fun too. Spark by Alice Broadway has the most gorgeous shiny cover! Being a magpie, I bought it immediately. All of them? Ha, I have far too many to list, but I recently chopped my To Be Read list down to around 300 so I'm getting closer. Theatrical was SO lovely, I really enjoyed it too! Oh I love this post, what a great tag and great answers! I think I will definitely do this tag! Wow! What a long tag. I love your answers-- I've learned of so many new books from this. Queens of Geek is high on my TBR, but you've definitely pushed it over the edge. I cannot wait to read it! You have over 300 books on your TBR?! What do you hope to read next? I loved Extinction Trials and its sequel too, those are so fun! I just finished Exile like last week. :) Queens of Geek was pretty good too. I love this tag so much! Great answers!